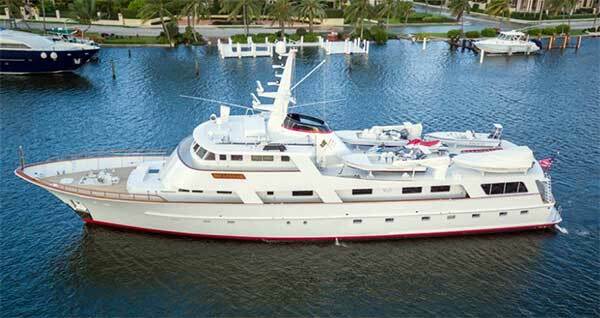 120' HARGRAVE MOTHERSHIP/ EXPEDITION YACHT "BUCKPASSER"
Dear All, It was a busy and exciting Fort Lauderdale International Boat Show onboard Rosa the 90' Explorer Yacht. I was limited in time to inspect other vessels in the show but one I did get a chance to see and that impressed me a great deal was BUCKPASSER. First let's talk about the Builder, Hitachi Zosen. 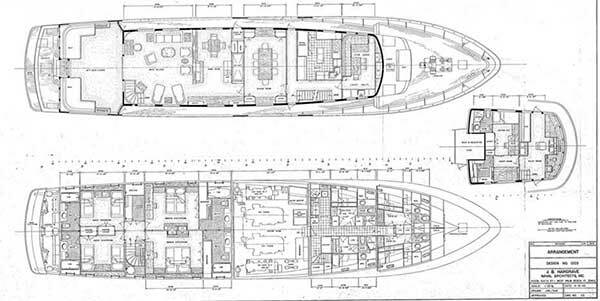 They are a Japanese company that was very involved with building for the Japanese government for a long time; they have built several other major yachts besides Buckpasser - Big D and Mikado. 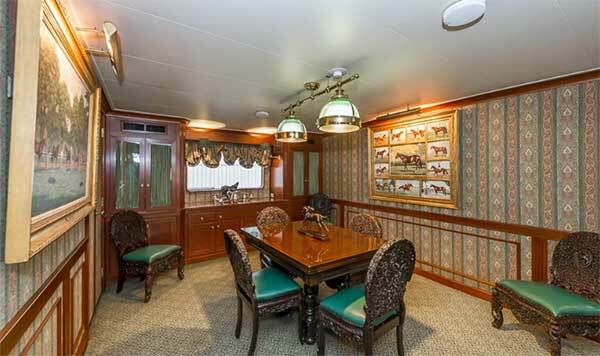 Buckpasser was built in the yard that they built their aluminum patrol vessels in Kanagawas. All vessels built by Hitachi Zosen were built to NKK also called ClassNK (https://en.wikipedia.org/wiki/Nippon_Kaiji_Kyokai) NKK is known to be one of the most stringent classes to build to. She was later moved to ABS and has been kept in class until a few years ago. The owner had her recently inspected by a major marine surveying company and I was told that the areas they looked at were all found to be in very good condition. The high level of construction, including contiguous welding which was rarely done in vessels from this time, is easy to see on inspection. We have a very high quality builder, so let's look at the designer. 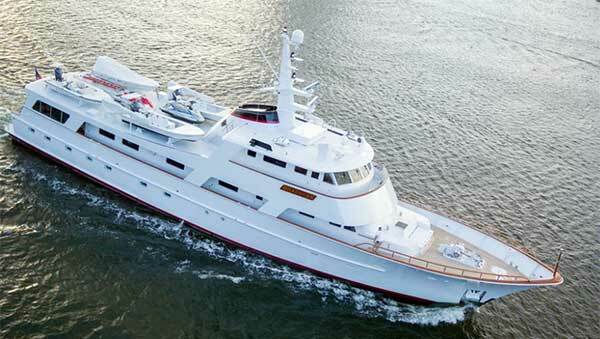 Jack Hargrave is considered to be one of the premier designers of full displacement yachts of his time. A quick Google search will bring up a huge list of sites and information on him (http://www.jackhargrave.com/). I will not go in-depth on him as he is easy to research, but one of the sites says he is "An American Icon". 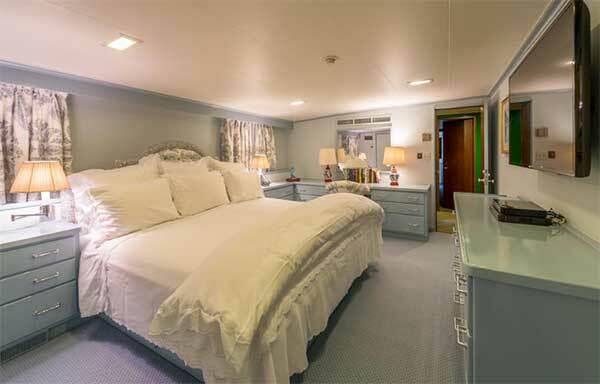 He is known for his seaworthy designs with great sea-keeping abilities and huge volumes of room, all necessary features in an Explorer Yacht or Mothership. 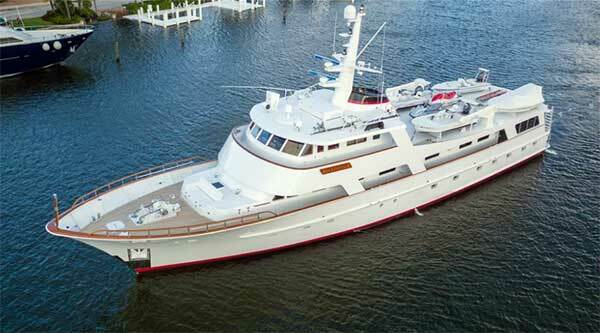 The 120' length means she can get into a lot of small marinas and docks, and her moderate max draft of 7'2" means she can take advantage of many small, out-of-the-way anchorages. Keep in mind she carries 13,200 gals of fuel, so at 1/2 load she will be closer to 6'6". 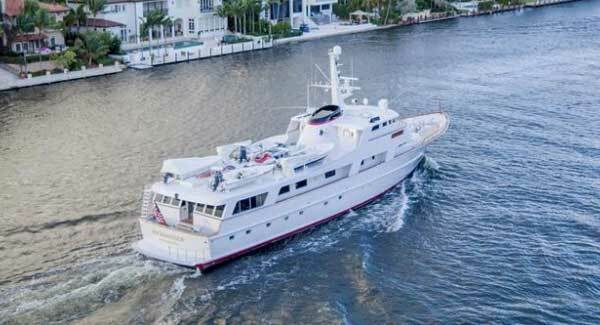 The large amount of fuel gives her the 4,200 NM range that we like to see in Explorer Yachts, but it also means she can stay on anchor for an extended time, refill the sport fish boats with fuel and water, and she is even set up to provide electricity to two vessels rafted to her port and starboard. Buckpasser is powered by twin 3508 A rated 565 HP Caterpillar engines. These are one of the most reliable and long lasting engines made. The engines have 11000 hours on them. This may sound like a lot until you check and see that their next major service is not until 25,000 hours! 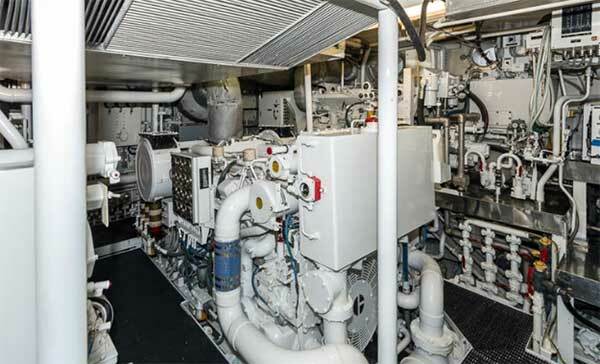 There are two Cat 3306T 135 KW generators, one of which can not only provide power to the whole vessel while full of guests and crew, they will also support the two sport fish boats while docked with her. In addition to the sports fish boats she can carry 4 flats fishing boats plus a number of other toys and can land and carry a Helicopter. 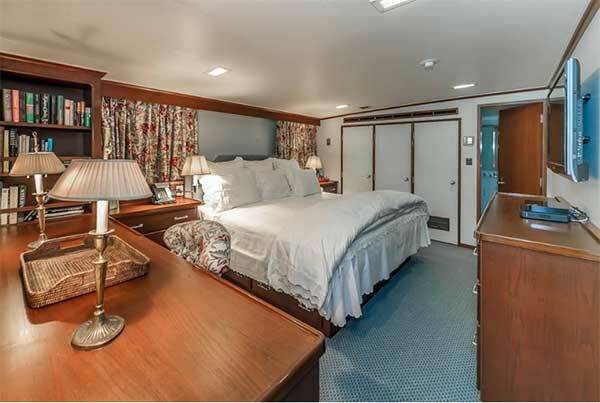 She has crew's quarters for 8 which is more than you need but leaves room for the Helicopter pilot, dive master or fishing guide. The huge volume I mentioned above not only allows for a lot of fuel and water, it gives her the space for tons, and I do mean tons, of storage. Buckpasser has lots of refrigeration and freezer space plus dry storage for a huge amount of not only food goods but supplies to keep her and the vessels she is supporting supplied. That volume is reflected in her very large gross tonnage of 269. A very large number for a vessel of this size. One of the surprises of of this vessel is even though she was built in Japan she is US flagged and registered with a registered tonnage of only 111. This means she can operate and charter within the Jones Act without any issues. (https://en.wikipedia.org/wiki/Merchant_Marine_Act_of_1920). 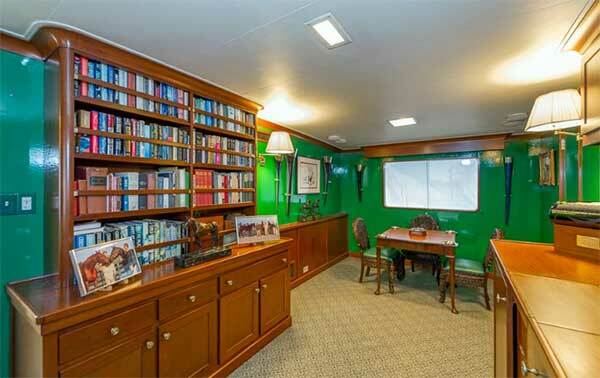 Buckpasser has 4 large cabins: two king masters and two full size side-by-side twins. 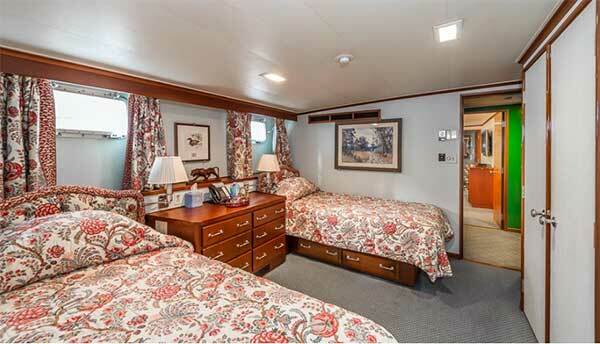 It would be easy to change the cabins so they could all be twins or kings as needed. 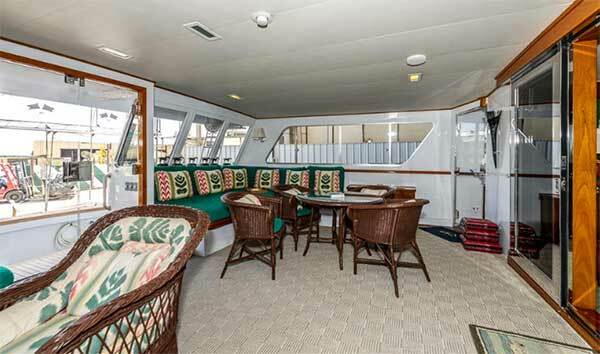 If you do not need the separate game room, you could fit a VIP cabin on the main deck. Buckpasser was a innovative leader in the Mothership / Long Range Yacht field. It is easy see how much time and thought went into her design and build. She is a great vessel as she sits and a wonderful opportunity for someone to take a solid platform and make it their own. Please contact me with any questions you have and to set up a inspection on her. 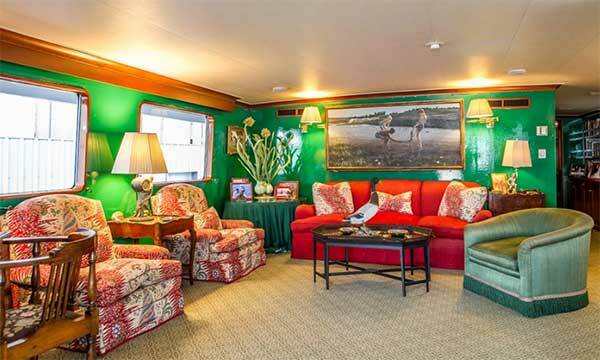 The vessel is now owned by the estate and they are highly motivated to sell.